I left Bea with a partially consumed puppaccino while I went in for some Breakfast. 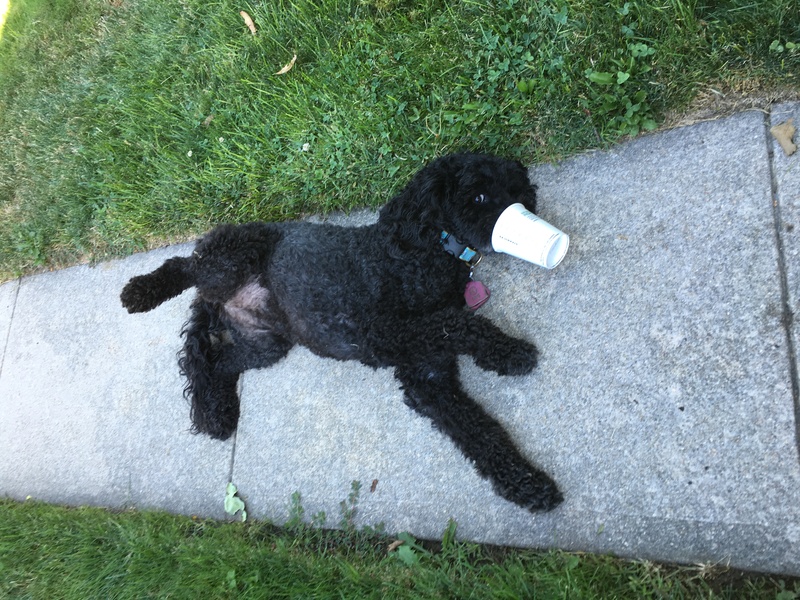 When I came outside again, Bea was lounging contentedly with the empty cup on her nose. When she saw me, she requested a belly rub.